What are some of the gender specific symptoms of ADHD in women? A female with ADHD may be less hyperactive and less impulsive than her male counterpart. Instead she may present with more subtle symptoms such as being disorganized, scattered, forgetful, introverted, withdrawn and socially isolated. She may have great difficulty keeping her focus on tasks, becoming side-tracked and easily distracted by things around her or even by her own thoughts. It may take her a little longer to process information, so that she appears “slow” or “spacey” or “flighty”, when in fact she may be highly intelligent. She may have a low tolerance for stress, feel extremely sensitive to criticism, and work hard to conform to adult expectations in hopes of gaining approval from others. She may have a hard time saying “no” to others, over committing to responsibilities that she cannot fulfill. It may be difficult for her to make firm decisions on even simple tasks, so that she seems wishy-washy and indecisive. Problem solving situations can become overwhelming and she may often find herself stuck, experiencing a sense of paralysis, unable to move forward at all. Managing her time can be quite a challenge, as well, and “running late” may be her norm. She may also be hypersensitive to her environment – the noise, the sights, even touch – and quickly become overloaded, “shutting down” and unable to function. She may feel and incredible sense of shame, berating herself for not “living up to her potential”. If she does have more of the hyperactive/impulsive symptoms of ADHD, she may be hypertalkative and hypersocial, extroverted — a social butterfly. She may often find herself “with her foot in her mouth”, blurting out and saying things without thinking and regretting it later. She may have intense emotional reactions, seem moody, impatient, and stubborn or argumentative. She may have poor self-restraint, making decisions impulsively, in addition to having have a hard time getting herself motivated, being more productive, planning, prioritizing, and organizing her life. It is important to know that symptoms of ADHD can present very, very differently from person to person, even from woman to woman and across a woman’s lifespan. Understanding this can help. 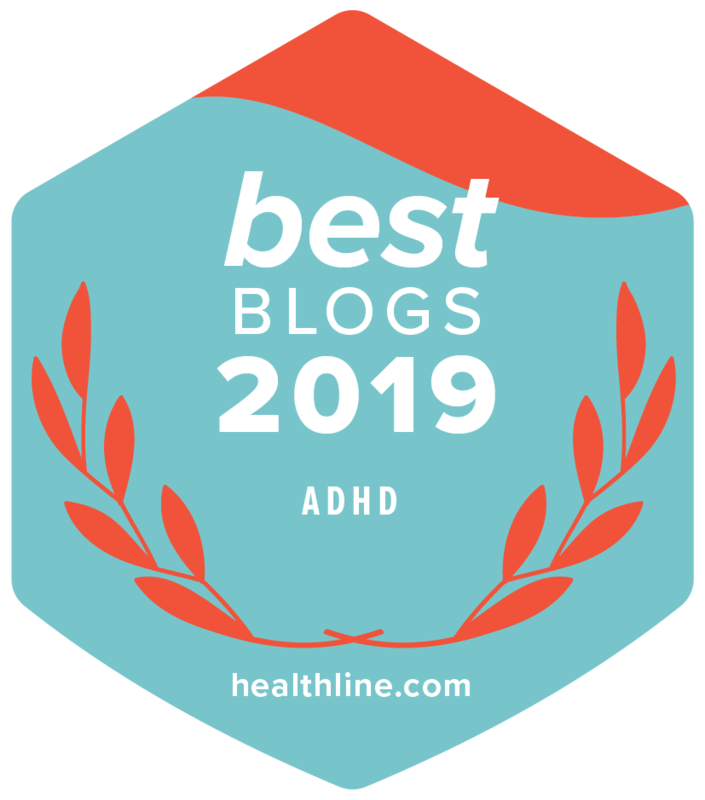 If you are concerned that you may have ADHD, talk with your doctor – even better if you can find a doctor who is experienced in assessing and treating ADHD in women and is knowledgeable about the way hormonal fluctuations and estrogen can affect symptoms. Looking for books about ADHD in Women and Girls? Check out our top picks here. [[“What are some of the gender specific symptoms of ADHD in women? This is me to a tee and always has been. I was diagnosed with ADD a year ago and I am 33. This is the inattentive subtype. It is so frustrating to see it as a male or female thing. If I was like most males with this disorder I would have likely been diagnosed in school because I would have been disruptive. But I’m not a girl…. I’m pretty sure. This is so depressing! I’ll never be good enough or stop feeling so intensely. It’s a curse to be constantly hated and second guessed, rejected mind body and soul day in and day out. No one has any faith, always assuming I’ve stuffed up. When I explain I’m told I’m too defensive, I’m always in the wrong. It’s impossible and I’m medicated. What’s the effing point I’m basically brained damaged and people think I’m toxic! I had always thought these traits were just my character. You have described me to a tee. It’s no wonder I have been such an underachiever. What about symptoms worsening after menapause? I was only diagnosed 8 months ago at 58. My symptoms were getting so bad I lost the first “real” job i had had in 8 years. I had been Temping and trying to start business after business and failing all that time. They only time I remember ever being happy and organized my whole adult life was when I was pregnent and nursing my daughter. I remember reading something in “You mean I’m not Lazy, Stupid, or Crazy” about this hormone change and how it affects the ADD brain. As things stand now I am frequently stuck, always disorgainzed, have trouble getting started with my day, always late for work, trying to keep my brain focused on the here and now and not the yesterdays and tomorrows, and finding that my medication has stopped working and getting tired of the side-affects. Hi. I was diagnosed 6 years ago, and am now pushing 58, and your story sounds very familiar. After my diagnosis, my first doctors gave me hormone replacement in addition to Ritalin, which enhanced the effects of the Ritalin, but subsequent doctors won”t. Studies on employer attitudes towards women over 35 are discouraging, and add ADHD to that, and ouch. Med side effects are a pain, but in my case, worth it. I REALLY miss the benefits of hormone replacement, and if your doctor is open minded, hormone replacement might be helpful to you. Memzak, it seems to me that ADD gets much worse with age. I used to work harder than anybody else in order to get by, but now I don’t have the energy. And I am in hormone hell — been there for awhile. WOW!!!! So-so-so-so totally me, couldn’t have said it better myself! Yeah, this is me. If I do feel extroverted (which happens from time to time) I can behave just as described: moody, impatient, stubborn, and sometimes saying embarassing things. I work as a bus driver so I have to be courteous, but it is extremely difficult, and mostly I say nothing to passengers for fear of saying something inappropriate. But for the most part I fit the introverted description. How strange. I was only officially diagnosed last week, but I saw the ADD & Loving It Doc last month, which inspired me to get a diagnosis. It’s so odd to see my quirks and confusing behavior listed out so completely, when for over 40 years everyone who knew me, including myself, considered them to be character flaws, faults and unattractive or bizarre traits. Now they are just symptoms. Of course I’m seeing this sentiment repeated all over the forums, so not even this reaction is particularly unique. On some level I feel relief, but in other ways I feel as frustrated as before. It means change will be more difficult than I originally planned (I always plan to change at least once a week). the increasing number of diagnosed ADD students. However, I am frustrated with ffinding suitable medical assistance for myself– especially in adjusting medication. Any advice on referrals – I am prepared to travel BC or Alberta –further if necessary. Clearly, there are psychologists and psychiatrists who are not current, or specializing in the condition. Do other woman experience the same challenge? How do we find a doctor who knows ADD and hormones? Do we look for a medical doctor, a psychiatrist, what? I’m in Grand Rapids, MI. Thanks. im a 40 yr old female & think i have the combined subtype adhd. i am just starting to work w/ my dr on a diagnosis. he’s very hesitant to diagnose me. its a good thing that he is professional & wants to explore all other avenues first, & i can see how diagnosing a 40 yr old female can be quite difficult. however, it’s so frustrating that i am trying to tell him how there are so many very particular nuances that pertain to me & he doesn’t really understand. someone who has never had it doesn’t understand the wall full of post-its for example. w/out seeing the add & loving it show, i wouldn’t have known either. meanwhile, my life is passing me by & i am not part of it. i lose time, so much time & am plagued by underachievement when i know i am interested and capable. btw, kinda goes w/out saying… i have all the symptoms mentioned in the article x 100! no kidding, but the worst is the memory. if i could just remember things then i could keep myself on track. maybe then i could keep my focus on one thing long enough to actually do something. crap, i am so tired of this. i am tired of explaining myself as ‘flaky’ when i am anything but.. i am terrified about my memory issues, it seems to be the common denominator in all my other symptoms/ problems. and cause such intense frustration and humiliation. i have ruined all my jobs, all my personal relationships, what is left? i don’t have much left. I am all of these things at different times, depending upon the situation and environment. I just want to be “normal” I keep telling my ADHD counselor. She always responds with “you are wired differently.” Not helpful when I can’t take medication, work in the teaching profession that has now taken a dramatic twist and the pressure to keep doing more with less public respect/support is becoming more and more overwhelming. I have also oticed with menopause that although my energy level is slowing down (stamina), my mind is as distractible as ever…………anyone else notice this? Right, I left a post on the forum on the subject before seeing this blog entry. Then women with ADD are very likely SOL. Yes – recommendations to ADD-women-aware doctors, please! *I used male pronouns for the doc role above because it’s easier to read, not because I think male doctors have issues with female patients (necessarily), or that female GPs don’t think this way too. this is amazing i match to everything in this ….i have beent diagnosed as ADHD but this really put it into perspective even more….and makes me feel so much more comfortable in my own skin and as if im ot alone ..its hard to describe these things but when u read them on poaper its like an omgs moment.. I went through the listed symptoms and over 20 describe me perfectly. 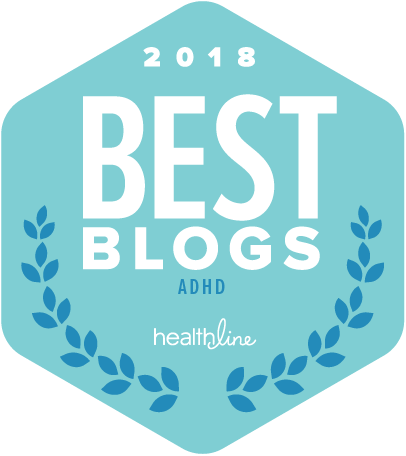 If any of the important women in your life have been diagnosed with ADHD, this article may give you a helpful glimpse into her behaviors. Good blog post – simple language, short, with a lot of useful information. Yelabeli is right. Women with ADHD really ARE SOL. People think it’s an excuse to be moody and disorganized. There is no sympathy from others, including your GP. I have found that I’m only considered ADHD when it suits others’ purpose. When it doesn’t, I’m just a lazy, loud mouth, b-word. I am 64 years old woman, just found out I have ADD not too long ago. I had bad social relationships at wok & church. Feeling Shame is the label of me since a little kid. From this article, I learn that is my problem. I don’t know how to make my turning point. should I move to somewhere else, change my work place to restart my life again? I wish I should know that early in my life, I don’t have to carry the SHAME with me for lifetime. How do I cope with it. Is there any way to help other people like me. I’m 42 years old and feel that I’ve just read the story of my life on The ADHD Symptoms in Women. I found out that I had ADHD 10 years ago. I felt free finally.. I began medication and went back to school. Well 10 years later I’ve realized that the years of not being diagnosed and being called lazy and spaced out still impact my life today. I still deal with self esteem and confidence problems. I recently had to disclose to my job of 8 years that I have ADHD. Not really sure it was the best idea but it was a decision I had to make due to built up anxiety that occurs due to the demands of my high stress job. I feel now that its turning into a sort of show and tell for those who are interested and want to understand how having ADHD has impacted my life. I tend to put humor into many of the areas that tend to show my weaknesses. Then there are days that I only wish I could laugh when I’m so frustrated over the way my brain seems to have other things on the daily agenda besides the tasks I need to get done. In addition to my job I have a great and understanding husband of 18 years and our 2 wonderful teenage boys, one that also had ADHD and another that refuses the thought that he may have it. Well I’m happy I found your blog and I hope to meet other women to share with. Thank you very much .I know first hand how hard it is to be diagnosed with ADHD. I really didn’t know till I took my son into see D.R. Margret Weiss at Childrens Hospital in Vancouver. This described me and my life to a T. The more I read about ADHD, the more certain I am that I have it. My whole life is, and has been, about chaos, stress, losing things, being late, forgetting things, poor planning, being overwhelmed, never finishing anything, boredom (repetitive tasks drive me to tears! ), anxiety, being sensitive to noise, drifting off, spacing out, not listening, being moody (extreme PMT), trying to listen but not quite catching what was said – and of course trying to not be like this every single day and ‘fix’ myself! Very, very, draining indeed. People laugh at me when I suggest I might have ADHD (the same people who despair of me when I’m always losing things). I think it’s because I have done well academically (in later life, I was a mess at school) but there’s not a single essay I haven’t written that didn’t involve me leaving it until the last minute and pulling an all nighter when there are zero distractions around – powered by food, drink and cigarettes to ‘help’ me focus on it – taking a break every five minutes to refresh my attention span. Yes, I am sure I have this but I just can’t face speaking to a doctor about this. I’m worried I won’t be believed or not sure what good it will do. This describes me from childhood to now and I’m 26. My biggest problem is how bad I have been treated because of my ADHD. Starting from my mom, family, friends, jobs and who ever else has put me down because of what they don’t bother to try and understand. I am suffering inside and I don’t know what to do. I wish i could get it together so I can have peace. You can’t force people to change their behavior, you can only change your coping with it, for a long time i felt like you and was full of anger. The most important moment was, when i recognized, that people did not hurt me on purpose. People did what they thought was appropriate, not knowing that i had totally different needs. And some people are not very good at learning new things, overcoming prejudices and leaving old patterns behind. They can’t comprehend what its like to have add. Unless you really have only very mean relatives and friends, keep in mind that their intentions are usually good and start forgiving them. On the other hand try to find people who DO understand the concept of add (because they know from experience…) and be friendly to yourself. It can be helpful to address your younger self in a letter, explaining that the pain felt is real, that people did hurt you, and give comfort to your younger self. And forgive. That is the best description of ADHD that I have read…very succinct! Fits me to a tee! One book I have found extremely helpful and and not mentioned very much is View From Cliff. by Lynn Weiss. This is a funny book that deals with every day situations and how to look at them from a ADDERS perspective but with humor and how not judging yourself. I just joined this site and will check out more things..especially anything you write! The more regular you can make your periods the less trouble you have with those hormones. Acupuncture and herbs can help make your periods regular. There is some evidence that the more regular your period and less PMS you have there are less problems with menopause. Yeah… The problem in the “men and women” thing, is that most of the time, it’s the wife that is supposed to organize the familly…making sure everything is in place and ready, that kids are dressed properly and they have everything they need before going to school, setting appointments…and going, planning the menu, and how are we supposed to be able to do all that with such a high disorganization problem? I’m a mom at home, and every day I have to fight this feeling I’m useless because I just can’t get things done and have terrible mood swings and my expectation of what I should get done are sooo high that it’s just unachievable… Befor being diagnosed, I wanted to die to set my familly free from me! Had to get hospitalised for a week, not beeing allowed to stay alone with my kids for a year (babies…I missed their early childhood) before having that diagnose and finding the good meds (because the psychiatrist I had was just convinced I had to take lithium, my doctor have had to take my file away from her and managing the meds by herself) that took an other year… After 12 years of burn out and depression, 4 years after my diagnosis, I can say I just started to get some balance in my life, but my energy always stayed low… Now I’m back at school (long distance university from home) and I learn how to manage all this frustration of “not being good enough”… but I can see now that there is hope! Im NOT crazy!! Reading this has me in tears, literally. I have been struggling with this for years and I just thought I was crazy. You described me to a T!! jceleste made the comment about a wall full of post it notes, I can so relate. I am 49, going through menopause, a struggling student, and I was officially diagnosed yesterday. After a bout of depression I finally talked to my doctor about it. As we went through the test questions, there were some that she didn’t even have to ask me. She stated that she was just clicking the answer because she knew the answer to them (as I was sitting there and my legs were going 90 to nothin). I always thought I was a failure who just didn’t have the brains to give up. So the diagnosis is such a relief, sort of. Now I have to worry about what my job is going to say or what the teachers are going to say, because lets be honest here, they do not truly understand. And I worry about the meds. Anyway, I am glad that I found this site and to know that I am not alone. I will def be watching some videos and reading some more. I don’t ever run late, instead I’m chronically early. I can’t stand to be late so I give myself waaaay too much time to get anywhere. I’m half an hour, or some days a full hour, earlier than I expect to be. Is that part of it at all, or is that just me? I can relate. I can’t deal with the overwhelming anxiety that comes with the prospect of being late and so I overcompensate by being extremely early. You developed a coping mechanism. One that I know from experience annoyingly takes time out of your day, but if it works for you there is nothing wrong with it.